When you want to make a lasting impression, Vintage Cakes & Catering will help create an unforgettable experience that you and your guests will be talking about long after your event is over! 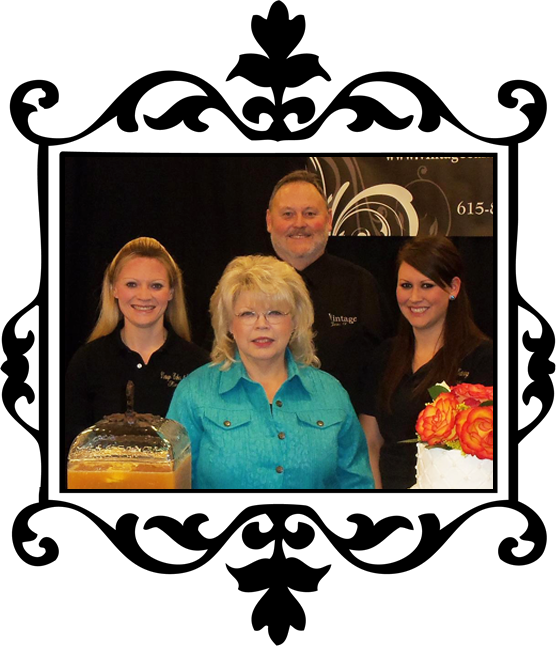 Based just south of Nashville in the bustling city of Murfreesboro, Vintage Cakes & Catering serves the entire Middle Tennessee area with excellence and attention to detail. From classic vintage styles to trendy contemporary designs, Vintage Cakes & Catering does it all. We take the time to get to know our clients personally and craft a unique experience that fits you perfectly. If you can imagine it, our staff can bring it to life.With over twelve years of experience in the catering business, Jerry and Sherry Lomax will work with you to create custom event menus that suit your personality. We cater events of all sizes, including (but not limited to) wedding receptions, rehearsal dinners, corporate events, birthdays, luncheons, and special occasions of all kinds. Contact us today to set up an appointment to plan your next event. Vintage Cakes & Catering is fully licensed and insured. 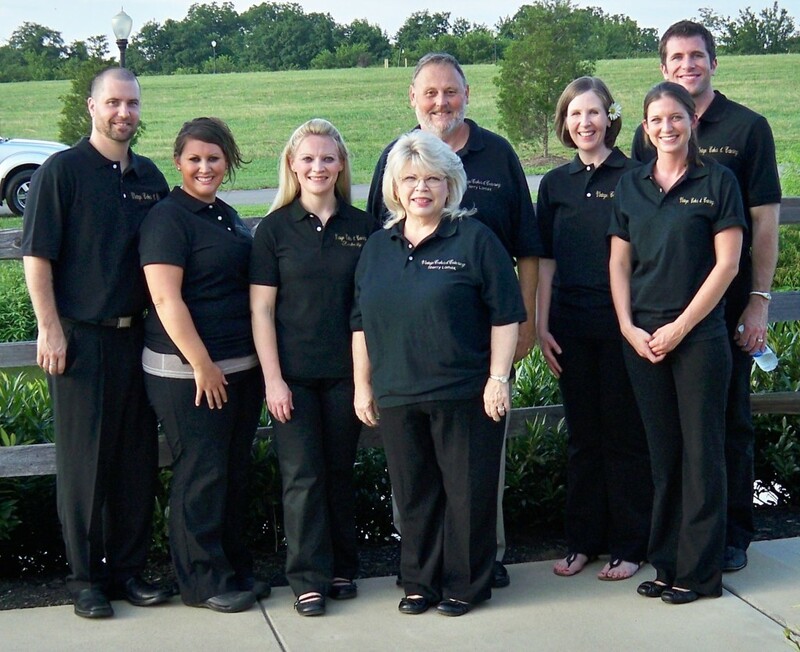 Our friendly professional staff is here to make your special day even more special.